Department for International Development head of news James Hardy is to take over as director of communications in April. Former BBC political correspondent Hardy takes over from Paul Mylrea, who is leaving to face the challenging job of head of media and press at the BBC. Mylrea's appointment was revealed exclusively on prweek.com (26 February). Hardy said he was expecting a tough year at the comms helm, with the main political parties planning to ring-fence DfID budgets despite major cuts for other departments. 'That's going to put us under the spotlight, quite rightly,' said Hardy. 'My focus will be trying to get better at explaining why it is important that we keep spending money to improve lives in the developing world. Deputy head of news Charlotte Morgan will take Hardy's head of news role. Hardy added that he will be leading a refresh of DfID's comms strategy, in order to gain a better understanding of DfID's audience segmentation. Hardy joined the DfID from the BBC in March 2008. He is a former Daily Mirror political editor and Sunday Telegraph home affairs editor. 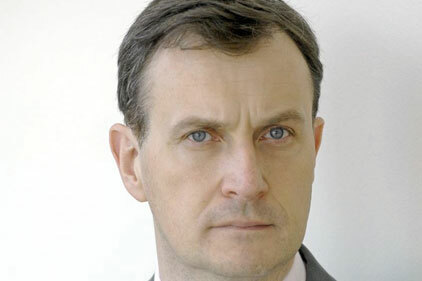 At the BBC, Mylrea replaces long-term media chief Donald Steel. As announced in November, Steel is moving to the newly created role of chief communications adviser. The challenge for the DfID is to defend its generous spending while others face a painful squeeze. With cuts threatened in public and defence services, a large part of the public believes charity should begin at home. DfID is not blind to this. It knows that tough - and legitimate - questions need to be answered. James Hardy is an impressive communicator. His task is to persuade people that aid really does make a difference. That means fighting perceptions of waste and corruption in developing countries with evidence that aid works. It means making the case that, in an interdependent world, we can't afford to ignore problems in poor countries.